Bonnie Haim's son found her remains 21 years later in the backyard while making repairs to his childhood home. 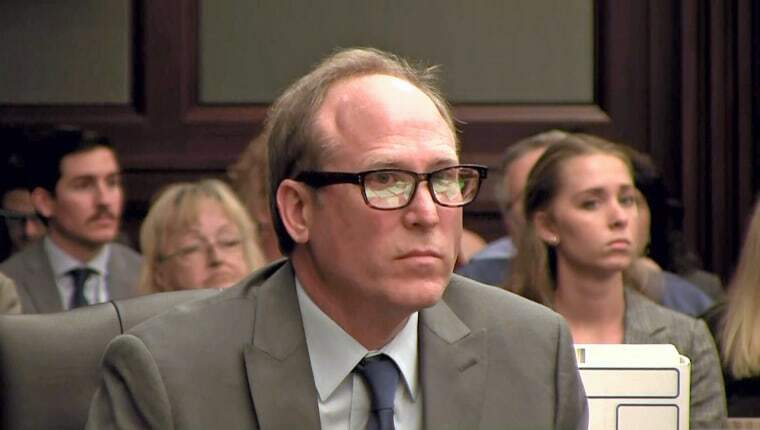 The trial of a Florida man accused of killing his wife almost three decades ago began this week with the man's now-adult son describing how he found his mother's bones buried in the backyard of their family home. "I picked up the coconut object and it ended up being the top part of her skull … we looked back in the hole and saw teeth," Aaron Fraser told the court during opening statements Tuesday, according to First Coast News. Fraser's mother, Bonnie Haim, disappeared from their Jacksonville home in January 1993. Her remains weren't discovered until 2014 when Fraser was doing renovations on his childhood house. His father, Michael Haim, was arrested in 2015 and is on trial for the murder. Fraser is a key witness in the case. As a 3-year-old at the time of his mother's disappearance, he told a child welfare worker, "Daddy hurt mommy," or something similar, according to detectives. Michael Haim, has pleaded not guilty to second-degree murder. "Aaron also stated that 'Daddy shot Mommy,' 'Daddy placed Mommy in timeout,' and 'My daddy could not wake her up,'" a 2015 arrest affidavit said. Brenda Medders was the child welfare worker who spoke to Fraser at the time of his mother's disappearance. She testified Tuesday during a cross-examination that she did not ask the child if he had been coached or knew right from wrong because of his young age, News 4 Jax reports. "What I was trying to do is gather as many facts as I could, which he gave me many," she said. While Michael Haim remained a suspect, detectives had trouble building a case without a body. There wasn't a break in the investigation until 21 years after Bonnie Haim's disappearance when Fraser discovered his mother's skeletal remains while making repairs to the family home, according to detectives with the Jacksonville Sheriff's Office. He had won the house as part of a wrongful death lawsuit against his father. A water leak required Fraser to remove a concrete slab underneath which he found the remains. DNA tests confirmed the remains were those of Bonnie Haim and a medical examiner concluded she died from a homicide "by unspecified means," according to the affidavit. A spent shell casing found where she was buried was the same type of caliber as a rifle that Michael Haim owned, the affidavit said. According to the affidavit, Michael Haim was abusive to his wife and she had made plans to move into an apartment with their son while he was away on a trip. She had secretly opened a bank account and when her husband found out about it and made her close it, she started giving money to a trusted friend to hold for her. Michael Haim, 52, who had moved to North Carolina by the time of his arrest in 2015, claimed his wife left their home without their son late one night in January 1993 after they had an argument about their marital problems. He also said he went searching for his wife, although he didn't notify law enforcement about her disappearance. The disappearance wasn't reported to law enforcement until a maintenance worker found her purse in a hotel dumpster and called police. "Michael Haim was the last known individual to have contact with victim," the arrest affidavit said. "The suspect admits that he and the victim were fighting over marital issues and that she was planning to leave and take their child." The trial continued Wednesday in a Florida court.